Empower yourself to advocate for change through whole systems design and teaching! In this dynamic and interactive course, you will learn significant teaching techniques to communicate Permaculture principles and strategies in a wide variety of educational settings. Our goal is to encourage and inspire your unique strengths and talents by demonstrating diverse teaching modalities such as lecture, facilitating class discussions, storytelling, and using visual aids. In this setting of active learning, you will experience essential hands-on practice by preparing and co-teaching several presentations. As a final course project the class will organize, promote and present a workshop to the public. This is an incredible opportunity to study with a master teacher, on how to teach. To be eligible to register for the course you will have taken the Permaculture Design Certificate Course or have the instructor’s approval. What material will we be covering in the course? Class will begin at 10 am on Mar 17, 2018 (Sat), and finish at 11:30 am on Mar 25, 2018 (Sun). Each day will follow the same schedule. If you are staying off site, please be sure to arrive 15 minutes before class starts. Jude Hobbs is an internationally recognized permaculture designer, educator and co-founder of the Permaculture Institute of North America (PINA). With over 30 years’ experience she utilizes whole-system techniques in urban and rural settings to co-design environmentally sound solutions that inspire sustainable actions. Through her business, Agro-Ecology Northwest, she specializes in optimizing resource conservation, biodiversity, soil and watershed enhancement and income diversification for large and small-scale acreage. 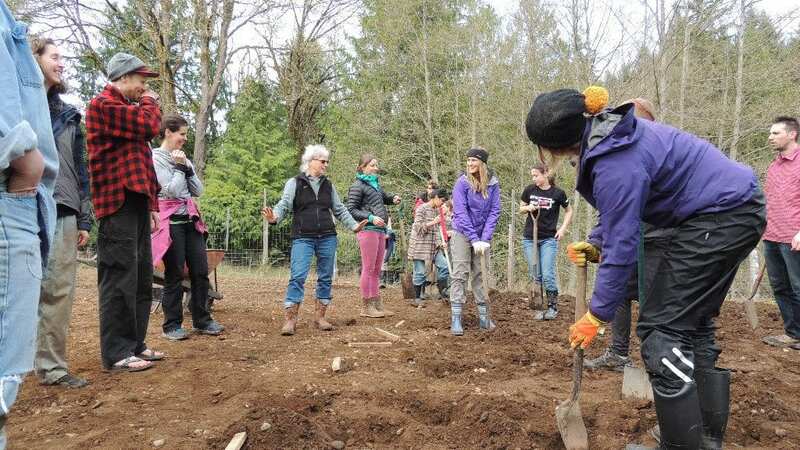 As an educator, she conveys her passion for permaculture to students worldwide by providing curricula developed to encompass diverse learning styles with teaching techniques that are accessible, inspiring and information rich.